The rise of Henry Tudor from relative obscurity to become king of England is a tale that although renowned probably deserves greater attention than it has been afforded. Having been pursued through south Wales in the late-spring of 1471 after the Lancastrian capitulation at Tewkesbury in May, Jasper Tudor once more succeeded in escaping his enemies and managed to reach Tenby Harbour, where a boat was awaiting him to take him back to France. This time he had with him his 14 year old nephew Henry. Together they set out for the open sea and for France where they would seek refuge with their Valois relations. Fortune had different plans for the pair however. The Tudors were blown of course and were forced to alight at Le Conquet in the extreme west of the independent Duchy of Brittany. Unsure what would greet them as they made their way inland from the scenic Breton Coast and towards the Breton court at Nantes, the Tudors had begun their twelve year exile in the Duchy of Brittany. The Tudor uncle and nephew met with Francis II in Nantes and shadowed the court to Vannes having successfully been granted a degree of asylum within the Dukedom, albeit as privileged prisoners as opposed to free citizens. Littered with many impressive structures across his lands, the Duke’s first action was to have Henry and Jasper placed within the picturesque Chateau de Suscinio in the southern part of Morbihan around October 1472, just over a year after they first washed up on Duke Francis’ shores. Situated on the protruding Rhuys peninsula and overlooking the Gulfe de Morbihan, this idyllic and rural Chateau was an impressive structure with a large and imposing gate guarded by two huge cylinder towers divided by a typical drawbridge across the moat. Further improving both the defences of the chateau and the scenic view from atop the ramparts was the lake that is situated just beyond the moat. Escape would have been difficult. Henry and Jasper’s stay here would initially have been comfortable and liberal as they were welcomed guests of Duke Francis. The Chateau was built as a kind of pleasure palace for the dukes on the coast and was naturally a pleasant retreat. It can be assumed that both Tudors would have revelled in hunting on the plentiful lands that surrounded the chateau as well as fishing in the bountiful Atlantic Coast which begun only a few hundred metres from their apartments. Although things had begun in this fashion it was not a situation that would last. Their increasing status as pawns in the great diplomatic three-way tussle between the squabbling Bretons, French and English would gradually see the Tudors situation become more restricted. The English demanded they were treated as monitored prisoners whilst the French commanded they were put under stricter control so as to stop them being captured by the English. King Edward clearly wanted to extinguish this distant but last remaining line of the House of Lancaster and to finally secure his own House of York beyond all doubt whereas King Louis wanted the Tudors to use as a bargaining chip against England. Louis XI was also the first cousin of Jasper Tudor as his father King Charles VII was the brother of Jasper’s mother Catherine of Valois, the dowager Queen of England whom had scandalously married her servant Owen Tudor after her husband Henry V’s death. This, Louis believed, meant he had right to the guardianship of his kinsmen. Duke Francis, undoubtedly with some reluctance after initially extolling himself as a gracious and respectful host, was forced to accept such terms and the Tudors movements subsequently began to be more limited. Finally the access to the sea was seen as more of a curse than a blessing as it was seen to be too exposed to the possibility of English attack. The Tudors stay at this scenic chateau was abruptly cut short and they were urgently relocated and perhaps of more concern to the pair, separated. 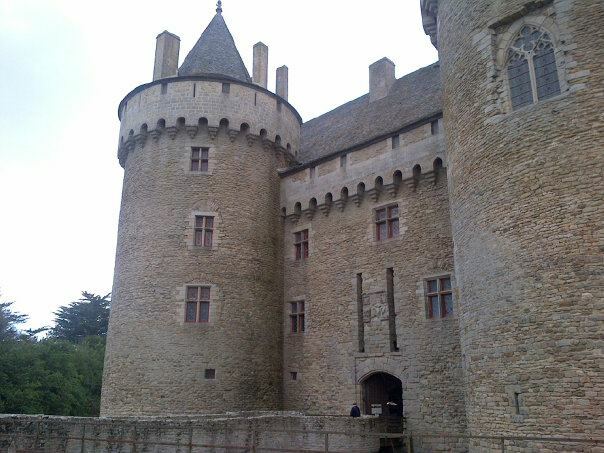 Jasper was sent to the Chateau de Josselin whilst young Henry was placed in the formidable confines of Chateau de Largoet in Elven. 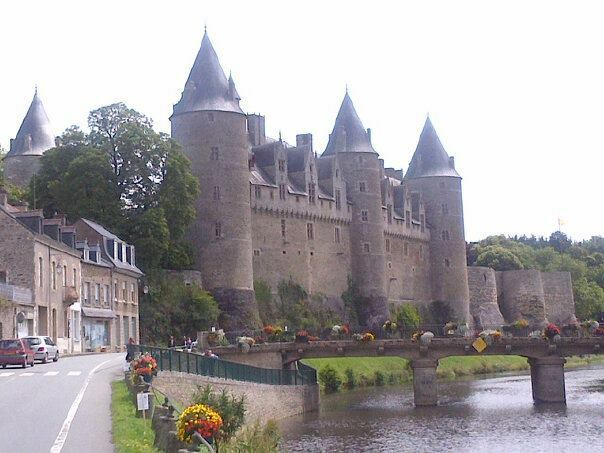 Josselin is situated in the heart of Brittany and the scenery surrounding the Chateau would have been dramatically different to the view Jasper Tudor would have become accustomed to in Suscinio. The Atlantic Ocean had been replaced by the conjoining green masses of grassy hills and tall trees as far as the eye could see. The chateau is in the heart of a medieval town with the historic town walls running parallel to the roads. It was the ducal home of the preeminent Rohan family. Standing at the base of the fortress wall, the height of the three connected towers that compromise today’s modern Chateau is truly astonishing and would surely have been a behemoth of the Middle Ages. One can only imagine the effect it would have had on Jasper as he stood beneath the towers for the first time, particularly as the castle would still have had many of its other towers still intact. Jasper was moved here at some point between 1473 and 1474 and would have either entered through the opulent gate in the town square or perhaps through the smaller gate through which visitors today enter the Chateau in the centre of the town itself. The castle would have been intact at this period, with nine towers and complete walls merely reinforcing this formidable structure. After it was slighted at a later period only four of the towers remain today but from the courtyard one still gets a feeling how impressive this fortress would have been. On the right hand side is the modern day Chateau and still home of the Rohan-Chabot Dukes, a gothic creation built into the original walls which overlook the flowing River Oust. Although built decades after Jasper’s enforced stay here, the early 16th century renaissance building still displays the intricate architecture that has become synonymous with the period and is worth witnessing. Particularly worth studying are the differing galleries that can be found on the front of the facade, each demonstrating the various allegiances of the Rohan family, from the motto A PLUS to the large A for the then-duchess of Brittany, Anne. 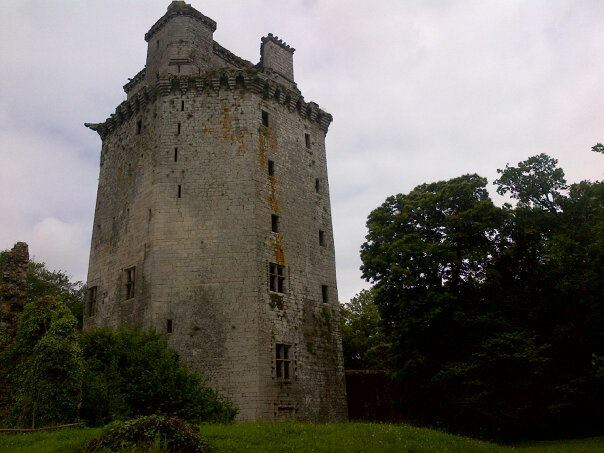 On the left hand side and thus directly opposite the Chateau stands one of the original towers, isolated from the reminder of the compound yet still standing proud and majestic. From the walls, one gets incredible views across the Oust Valley and although not on the ocean front, the chateau certainly has charming views that rival Suscinio. The keep itself where Jasper may have been kept prisoner is now gone, replaced by a simple empty space from which the banner of Josselin flies proudly over the valley. Henry meanwhile was taken to the town of Elven, situated about halfway between Suscinio and Josselin. Unlike Josselin where the Chateau is situated in the heart of the town, Largoet is rurally based with nothing in the vicinity except rolling hills, thick forests and a small lake. Largoet was designed to be a military fortress and its location certainly plays a part in its defences. 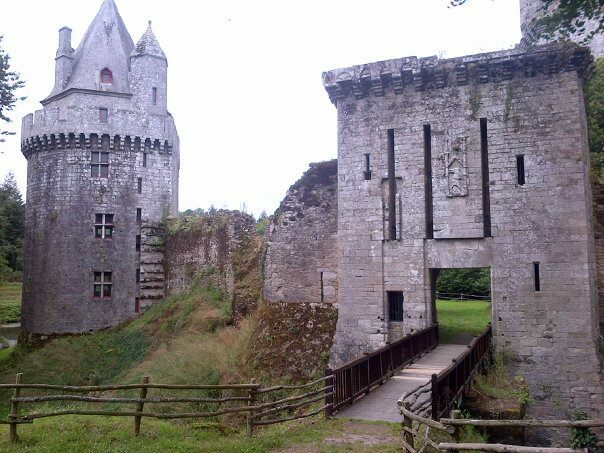 The chateau is reached along a lengthy path through a forest until the gatehouse and thirteenth century walls suddenly appears into view, connected to the courtyard via a wooden bridge over a moat. The owner of the chateau during Henry’s incarceration was Jean, Lord of Rieux, and it was into his protection that Henry was placed. An intriguing family connection between Jean of Rieux and Henry Tudor came at the beginning of the fifteenth century. Henry’s distant relation Owain Glyndwr, the first cousin of his great-grandfather Maredudd ap Tudur, rebelled against English rule in the first decade of the century and was allied with many Bretons and Frenchmen, amongst them Jean of Rieux’s grandfather. 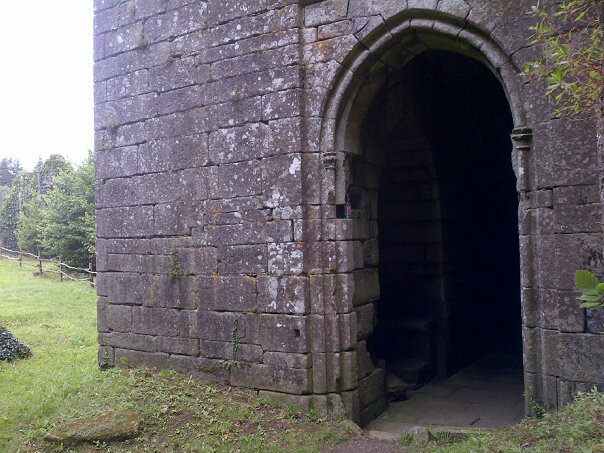 Two things would have instantly captured Henry’s eye as he entered the courtyard of Largoet. On the left hand side and down a small dip stands the Round tower, three stories high with a hexagonal construction atop the highest level. The most striking aspect of the Chateau however is the incredibly high Tour d’Elven, the Elven Tower that stands 6 stories high and 144 feet from the base. This octagonal dungeon tower possesses a tiring 177 steps in total, is the highest dungeon in France and also was built to include views out to sea around 15 miles away. This immense structure had only been constructed around a decade earlier and it was in here which Henry would be housed for the next few years. Entering through the ground floor entrance, one can make their way up the large staircase to the second floor to the small and narrow room in which he was put. It is also possible that Henry was kept on the sixth floor, arguably the most impenetrable part of the entire chateau and demonstrative of his importance to the Bretons. The Lord of Rieux was an ally of Henry and felt honoured to be guarding this ‘comte of Richemonte’ and was duty bound to ensure he didn’t escape or was kidnapped. The evolving foreign policy of continental Europe during this period however would ensure the status of the Tudors would periodically be reevaluated by the Bretons. The first five years of the Tudors stay in Brittany had been in a state of part guest, part prisoner under the protection of Duke Francis II. He had up to this point rejected the amorous advances of the English to hand over his prized possessions and kept his word to Henry and Jasper to grant them asylum. After many failed attempts to bribe the Duke into handing over the Tudors, the English envoys changed tact and began promising to safeguard Henry Tudor back to England where, rather than the expected imprisonment and execution, he would instead receive his full Beaufort inheritance and be married to a prominent Yorkist woman. It may have been a possibility that Edward in fact wished to marry Henry to his own daughter Elizabeth to fully integrate this potential usurper into his own inner circle. The reality is it was probably merely a negotiating ploy to get control of this last remaining threat to complete Yorkist control of the English throne. This being said, after years of pressure and having succumbed temporarily to illness, by the winter of 1476 Duke Francis finally relented and agreed to release Henry Tudor into English hands under the assurance he would enjoy a good marriage in England and be treated honourably. Such a move was against his Admiral Jean du Quelennec’s wishes but the admiral was crucially away from court when the Duke reached his decision. The decision was a pleasing one to many of the minor courtiers of Brittany who were eager to be rewarded by King Edward IV for supporting this outcome. Henry was taken back to Vannes where he was passed into English hands. The English envoys took their ward north to the coastal town of St Malo where their ships awaited to take Henry back to England. It is probable that Henry would have entered the town either through the Dinan gate or the splendid La Porte Saint Vincent. Both feature the coat of arms of St Malo and Brittany and display the motto ‘Potius quam mori quam foedari’ – better dead than sullied. 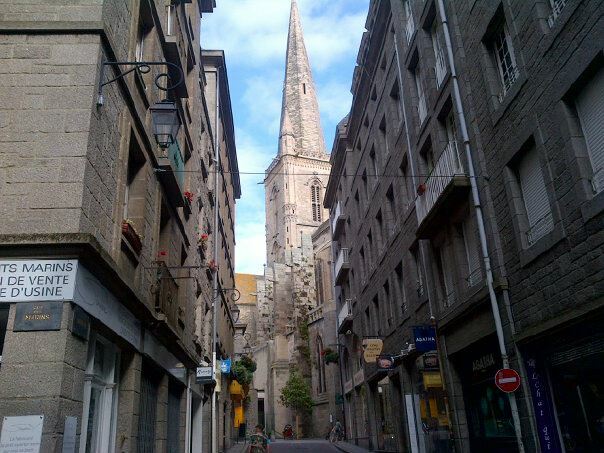 It was a mixture of quick thinking and the tight, cobbled streets of St Malo which possibly saved the life of Henry Tudor on that winter’s day in 1476 when, shortly after entering the town, he seemingly feigned an illness that swiftly halted the envoys march towards the ship, and thus England. As this delay was taking place, Admiral Quelennec had returned and was dismayed at his Duke’s action in releasing Henry Tudor from protective custody. The chivalric admiral felt that Duke Francis had made a promise in good faith and should have kept his oath to protect the Welshman. Convinced he had made a mistake, Francis sent his treasurer and key political aide Pierre Landais to St Malo in order to stop the sailing. Aided by the delay through illness, Landais arrived just in time to advise the English the deal was off and entered into lengthy dialogue with the exasperated envoys. It appears during these heated exchanges, the 19 year old Henry slipped away from his captors and escaped through the narrow streets whilst being pursued. Making his way to the church that stands in the centre of the old town, the Earl of Richmond claimed sanctuary within the confines of St Vincent’s Cathedral. With the local Bretons unwilling to allow the English to break the sanctuary tradition by entering the Cathedral armed, the envoys eventually admitted loss in their attempt to take Henry back to England and they left the shores of Brittany empty handed. They had him their possession for only three days. St Malo’s Cathedral still stands proud in the centre of the town and in fact the roads are so narrow and tight as befitting its history as a medieval town the building appears almost out of nowhere as you wander aimlessly through the many streets. Henry used these streets to his advantage and managed to evade all attempts at detection. It must have been a terrifying event for the young exile. Henry made his way back to the Breton Court for an audience with the Duke, Francis apologising profusely for his blunder and reassuring the Earl of Richmond that he would not be handed over to the English after all. It was an emotional reprieve for Henry. The English envoys were naturally furious at coming so close to attaining their goal of returning the Lancastrian exile to their Yorkist king but Pierre Landais and the Duke could only appease them by promising to again ensure the Tudors were kept secure in custody. Although lack of evidence exists to suggest the timeframes and locations of Henry’s next temporary place of residence, by 1480 he was in captivity at the Chateau L’Hermine in the southern coastal town of Vannes where he was joined from Josselin by his devoted uncle Jasper. As throughout the exile, envoys from both France and England continued to pressurise Duke Francis and at such a critical point in the Dukedom’s history it may have seemed at times he had no reason but to capitulate. In June 1482 King Edward reconfirmed his alleged desire to welcome Henry Tudor back into his kingdom as a treasured member of his inner court, particularly once married into a strong Yorkist family of which he may have had in mind his own daughter Elizabeth of York. Edward stated that should Henry acquiesce to this request then he would treated as a loyal and valued courtier and not only would he receive his Beaufort inheritance on his mother’s death he would receive a whole lot more. The flipside of this however, should Henry continue with his exile, was that he would lose everything if he did not return to English shores immediately. It is thought that Margaret Beaufort herself, a Lancastrian by birth whom had found herself married into the wider Yorkist regime, supported such a move. It certainly seemed to be the best this exiled Welshman could hope for at this junction. Although the Yorkist Dynasty seemed secure on the throne of England hitherto the political scene dramatically changed in April 1483 when the obese King Edward IV died, leaving his child and namesake Edward the new king. The future of Henry Tudor and the deal to bring him back home was suddenly cast into doubt. This was further complicated when Richard, Duke of Gloucester and younger brother to Edward IV, captured his nephew and usurped the crown. Disenfranchised Yorkists unhappy at this turn of events looked abroad to Henry as a possible alternative and scores of knights and nobles began to flee to Brittany. Duke Francis acknowledged this dramatic change in status of his charge and Henry was afforded greater freedom. This exiled Earl of Richmond found himself transformed from a little-known Lancastrian exile to a potential king-in-waiting. With little other prospects other than continuing his exile it was a role he embraced. With his force growing daily as previously loyal Yorkists seeked sanctuary away from London, Henry Tudor faced his large force at Vannes Cathedral later that year and swore an oath to each and every man. He promised to lead them to the throne of England as their rightful monarch, to which he would have been greeted with support and the pledging of loyalty from the men. Henry left Vannes cathedral as a man with an army that was willing to fight for him, or at least to fight against Richard III. Henry and his closest advisors probably acknowledged that claim to the throne was weak, particularly as it was through an illegitimate female line. The decision was taken that uniting his claim with that of Edward IV’s eldest daughter, Elizabeth of York, would bolster his acceptance as monarch and ensure the continuing loyalty of the Yorkist dissidents. To this effect Henry met with his faction at Rennes’ St Pierre Cathedral to pledge an oath to marry Elizabeth and unite the rival Houses. The Cathedral in Rennes sits in the centre of the city and constitutes an incredibly high front façade that certainly matches the similar structure at Westminster Abbey. 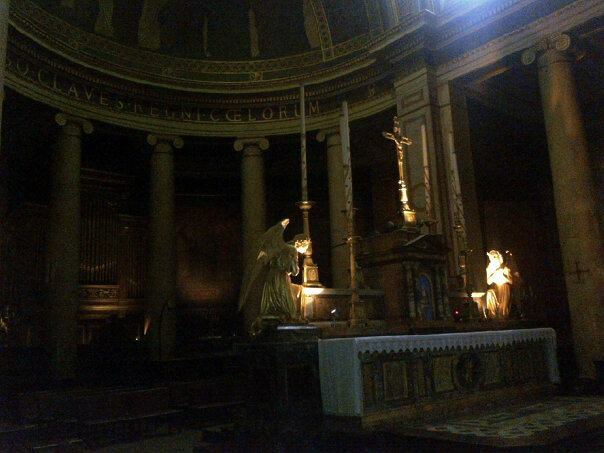 As you enter and your eyes become accustomed to the darkness, you instantly become aware of the numerous marble pillars on each side that lead down the aisle to the altar. Situated underneath a great basilica and in the presence of many Catholic shrines, it was here on Christmas Day 1483 that Henry made his oath to marry Elizabeth of York and unite the warring factions. Present on this day was the majority of his force, both Yorkist and Lancastrian, in addition to the Duchess of Brittany herself. As the premier minister in the land Pierre Landais was also present and through him Henry obtained Francis’ solemn promise to support and assist in the cause. The ceremony included a mass which was officiated over by the Duchess’ own priest. Henry had entered into a pledge which he could not turn his back on; if his invasion of England was successful and he became King, he would marry Elizabeth of York. It was in effect a betrothal, a marriage in proxy. 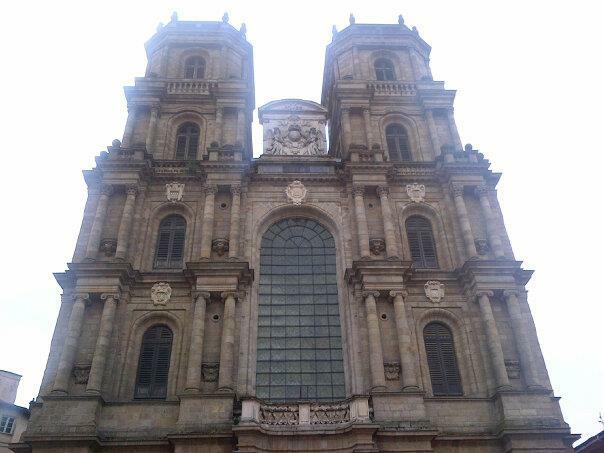 It could be argued that it was within Rennes Cathedral that the end of the Wars of the Roses was conceived. Francis had grown increasingly ill and by 1484, his treasurer Pierre Landais was effectively in control of the dukedom. Francis had, for the main part, always kept his promise to protect Henry whilst he was in his control and had certainly grown accustomed to his company. With Henry’s role changing from mere exiled noble to claimant to the throne of England, both needed each other for different reasons. Henry needed Francis in order to succeed. Francis needed Henry to be King in order to gain a powerful ally in his constant battles with France. However during Francis illness during the summer of 1484, Landais began to listen to Richard’s constant overtures and certainly seemed as though he was about to hand the Tudors over. Landais not only thought this was the best thing for Brittany, but it was also self-preservation for himself to create a personal relationship with the King of England. The plans to hand over Henry Tudor to Richard III were almost set in motion when Henry’s ally, Bishop Morton, had found out through his sources about the plot to betray him behind Francis’ back. Henry in turn decided to hatch his plan whereby he would escape across the border into France where he would seek asylum in the court of the new French king Charles VIII. Henry had already made two incredible escapes during his lifetime; first as a 14 year old from Tenby Harbour and again as a 19 year old from English forces in St Malo. Leaving his base at Vannes at some point in September under the pretence of visiting a supposed friend, around 5 miles later Henry suddenly left the road and dipped into the woods where he changed into the clothes of a peasant. Disguised from detection, Henry then rode fiercely for the French border and asylum at Charles’ court. His uncle Jasper had equally crossed the border two days earlier in a similar manner. Henry’s escape had scuppered Pierre Landais’ plans to transfer Henry to prison and into the hands of King Richard III and in fact they were only an hour behind Henry as he raced through the marches and into French territory. Deeply troubled and ashamed at what had transpired, Francis conveyed his regret to Henry and rather than punishing the English exiles that had been left behind in Brittany, Francis provided them not only with safe conduct to France but helped to finance the move to France. It was an honourable move borne out of the chivalric characteristics Duke Francis had on the whole shown his Welsh guest and Henry was deeply thankful for this gesture. Provided with extra funds from France, whom were finally eager to use the Tudors in their diplomatic squabble with England, the plans to launch an invasion from the coast of France began to gain pace as did Henry’s own appeals to other nobles in Wales and England to support his claim. The forces that Henry had gathered, a combination of Lancastrians, dissident Yorkists and French mercenaries, were assembled at the Norman port of Honfleur where on 1 August 1485 they finally set sail for the coast of Henry’s native Wales. Henry’s ragtag force landed at Mill Bay, Pembrokeshire on 7 August and landing on Welsh soil for the first time since he was forced into exile 14 years earlier, the Welshman fell to his knees and kissed the soil. Henry was heard to cry “Judge me, Lord and fight my cause”. Two weeks later Henry Tudor was proclaimed King of England and of France, Lord of Ireland and Prince of Wales. After Henry Tudor acceded to the English throne and was crowned as Henry VII, it was anticipated that Brittany and England would enjoy a close relationship due to the personal connection of the two respective rulers. The reality was that once Henry became King of England, he had to act in accordance with the wellbeing and interest of his own kingdom as opposed to any sentimental loyalty to Brittany. Henry also owed a debt of gratitude to the French for their role in supporting his Bosworth campaign and therefore a policy of non-intervention was considered prudent by the new English king whilst he secured his crown. The question of Breton independence was thrust to the forefront of European diplomatic matters in September 1488 when Henry’s protector in exile, Duke Francis II, passed away. He was succeeded by his daughter Anne of Brittany who at once became one of the most sought after brides on the continent, particularly by the French. Whilst Henry Tudor certainly had a personal interest in the future of Brittany his most pressing concern must have been the aggressive attempts of his former ally France to annex Brittany and secure control of the entire southern part of the English Channel. French control of Brittany would also have a detrimental effect on the economy of England for the Bretons were a key trading partner of the English. Henry initially attempted to act as mediator between his two allies but a French military defeat of Breton forces in 1488 at the Battle of St-Aubin-du-Cormier suggest Brittany needed vital assistance. Henry resolved to support Brittany against France to this end and the Treaty of Redon was signed in February 1489. The treaty pledged 6000 English troops under the command of Giles Daubeney to be deployed to Brittany as required, although they would have to be funded by the Bretons. The Papal Ambassador in England wrote to the Pope after the treaty that the king was ‘compelled at present to defend Breton interests, both on account of the immense benefits conferred on him by the late Duke in the time of his misfortunes, and likewise for the defence of his own kingdom’. The military support was too little to have any major impact in the issue and in December 1491 Anne of Brittany was married to Charles VIII of France, effectively signaling the end of Breton independence. The following October Henry VII landed at Calais at the head of a might army, primed to invade France as a defensive tactic caused by their annexation of Brittany and support of the pretender Perkin Warbeck. Henry commanded a force of around 15,000 troops and 700 ships, allegedly the largest English expedition of the fifteenth century. Although besieging the town of Boulogne it is arguable that Henry never planned to launch a serious military attack against France, for he came to a swift agreement with the beleaguered Charles VIII who was forced into paying his English counterpart a mammoth annual pension of 50,000 French crowns, total payable being 745,000 gold crowns. Although many were disappointed Henry seemingly had no desire to claim the throne of France it was an incredible display of power that served to demonstrate Henry’s growing influence on the never ending chessboard that was European diplomacy. The fact was that England could not match France force for force. The resultant Treaty of Etaples signed on 3 November also saw French support for the cause of Warbeck withdrawn, who quickly fled for Flanders. The campaign would draw criticism yet Henry’s chief objectives were achieved with little expense or bloodshed, although he had failed to preserve the sovereignty of Brittany. He had demonstrated to Europe that he was a king who was a major player in continental affairs, whilst removing an immediate threat in a French-backed Warbeck and significantly boosting his income. Brittany however was lost. And lost it would remain, never regaining her independence. The Tudors and Brittany is an intriguing story; rags to riches on one hand yet riches to rags on another. Both played a major role in the rise and fall of each other. Nathen Amin grew up in the heart of Carmarthenshire, West Wales, and has long had an interest in Welsh history, the Wars of the Roses and the early Tudor period. His first book Tudor Wales was released in 2014 and was well-received, followed by a second book called York Pubs in 2016. His third book, the first, full-length biography of the Beaufort family, the House of Beaufort, was released in 2017 and became a #1 Wars of the Roses bestseller. 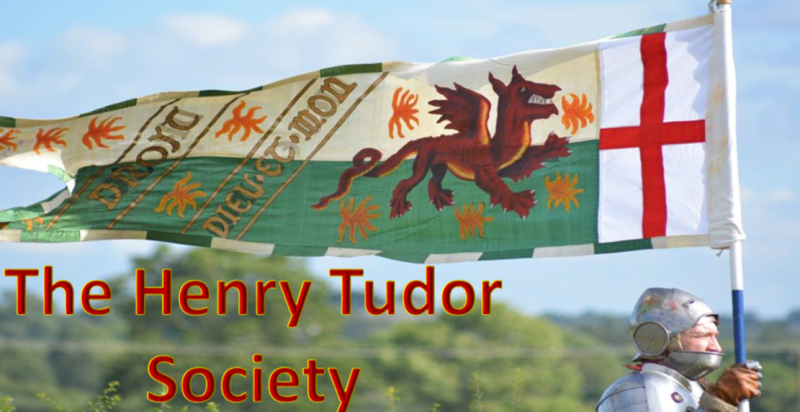 He is the founder of the Henry Tudor Society and has featured discussing the Tudors on BBC radio and television, as well as in print and online media across the UK. He has a degree in Business and Journalism and now lives in York, where he works as a Technical Writer.